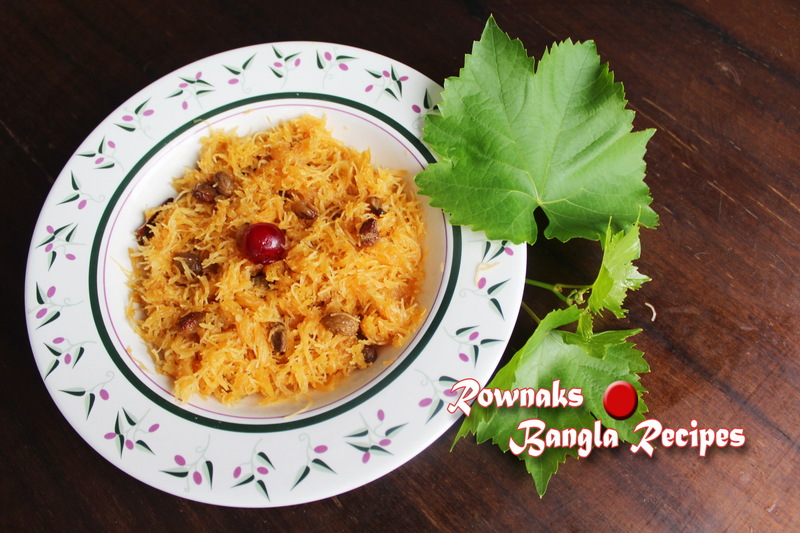 For Eid Dessert Semai is so popular that in some places Eid ul Fitr is called as Semai Eid. 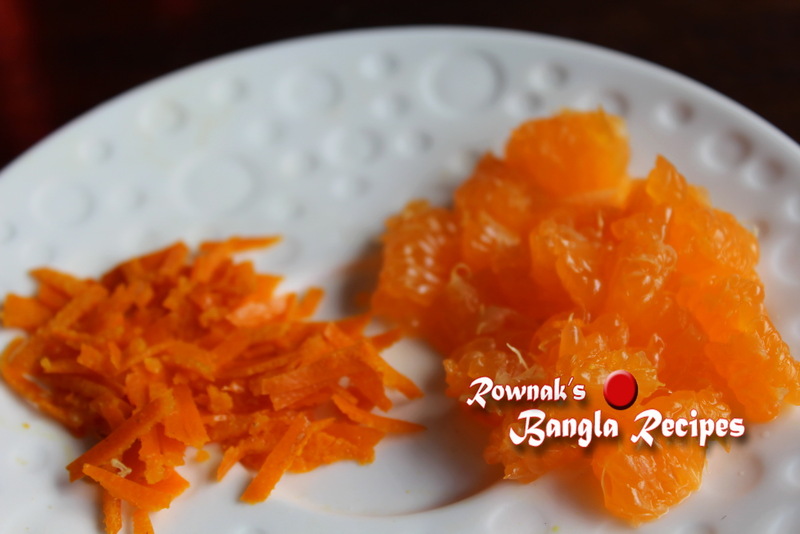 I will give Jorda Semai recipe today and you can see that I used fresh orange to make orange flavour. And I also used bit orange colour (as you know that Jorda should be in orange colour). Don’t be shy to use ghee but if you want, you can use half oil and half ghee. Eid Mubarrak to my all lovely Readers. Soak all nuts and raisin (kismis) at least 15 minute. Drain the water and remove the skin of nuts and chop if need. Boil 2 and ½ cup water with cardamom, cinnamon and bay leaf. Boil till it becomes half in amount. Break semai into 2” pieces. Heat the ghee and fry semai for 1-2 minutes. Stir vermicelli / semai and don’t burn it. Add nuts and raisin and fry 1 minute. Add spiced water and food colour; cook till water dries up. Add sugar, orange rind, orange and morobba. 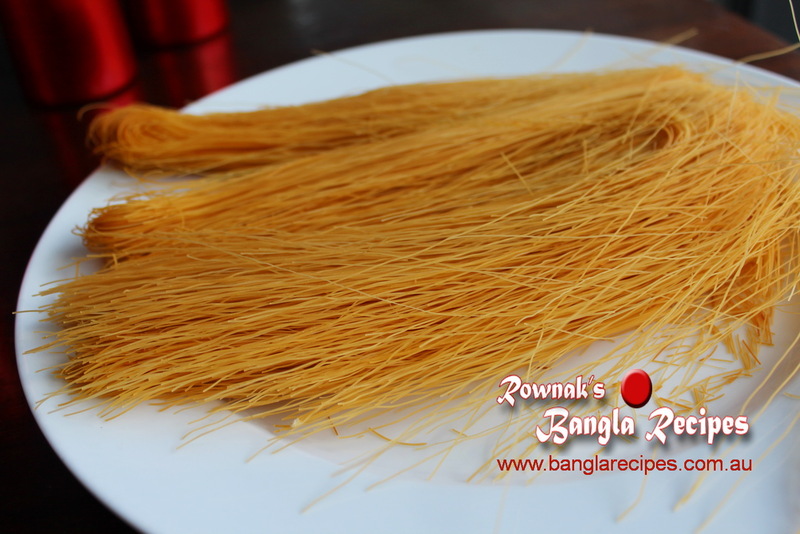 Cook till sugar dissolves and well cooperate with vermicelli / semai. 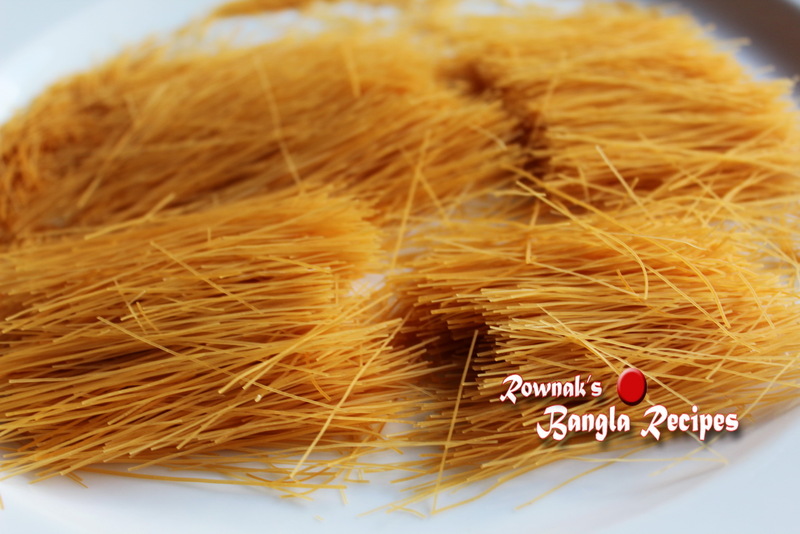 Let it cool down and spread semai with fork. Where can I find or how to make morobba?